One more year, as it has been since 1998, RAM Audio has participated in the international ProLight+Sound exhibition in Frankfurt (Germany). In this occasion we have took the decision to exhibit together with our German distributor, well-known audio company Adam Hall, in which stand there was a dedicated area for the Spanish amps brand. 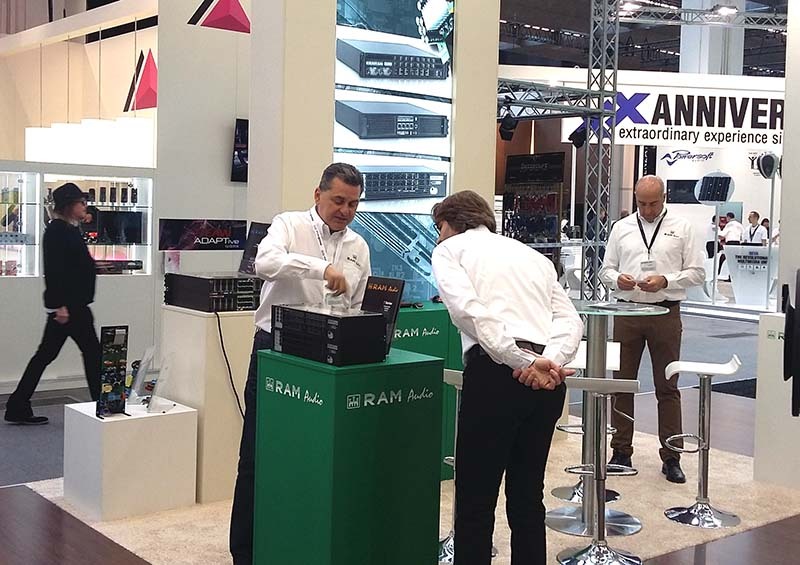 Julio Sonseca, David Arnau and Mónica Royo from RAM Audio were attending to all international visitors who dropped by the stand and helping Adam Hall sales people with their deals with Germany contacts. As a result of the show several new agreements are being negotiated for the distribution of RAM Audio products in some countries around the world, as Turkey, Vietnam, Hungary, Korea, Ireland, etc.